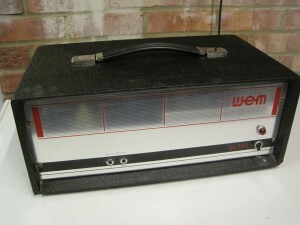 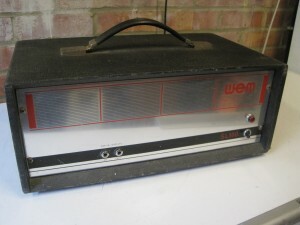 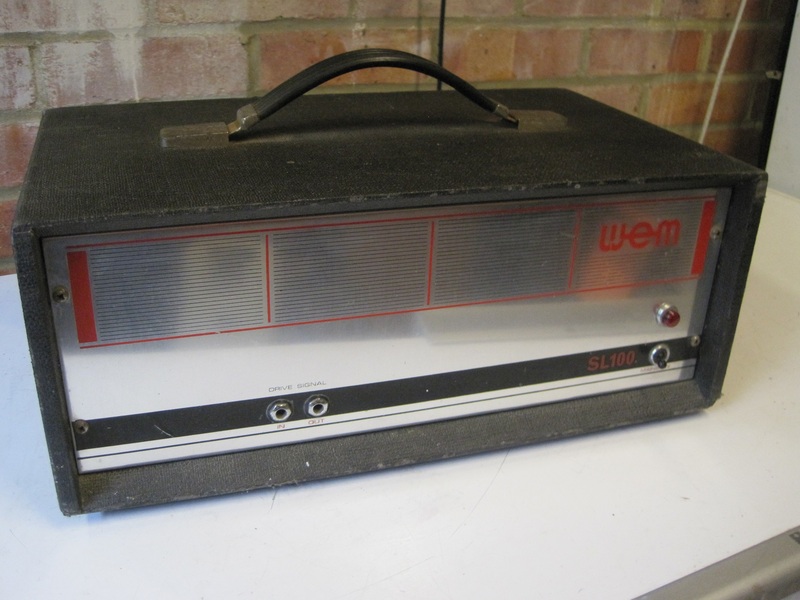 WEM made very few power amps and the only one that was used to any great extent and which most musicians from that era will remember was the SL100. 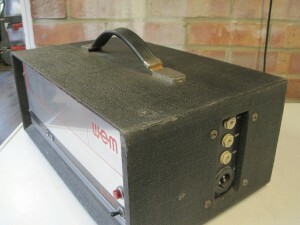 The SL100 was basically just the power amp stage that was used in the ER100 and PA100. 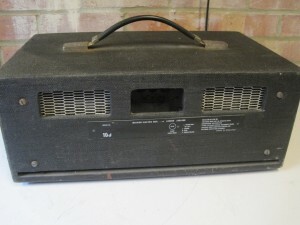 It was a mono amp and had 2 mono jack sockets on the front and not much else. 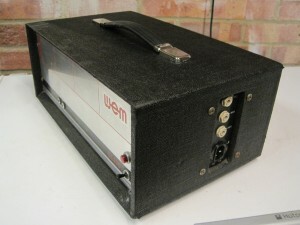 One socket would be connected to the mixer and the 2nd socket could be used to link to another SL100 with up to 10 in total chained together. 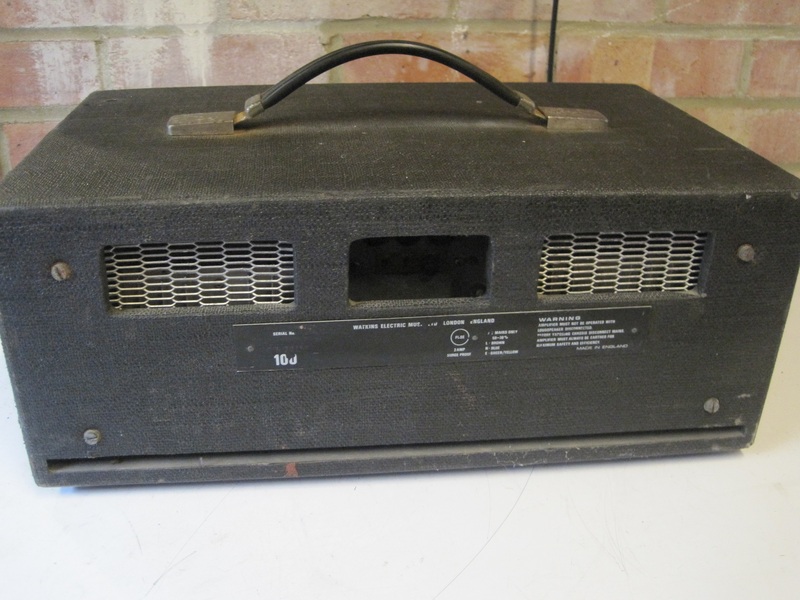 I acquired the SL100 shown in the pictures in November 2015. It was in excellent working condition so it just needed a new handle, an IEC mains socket (to replace the old Bulgin socket which doesn’t meet current safety standards) and a good clean and polish.